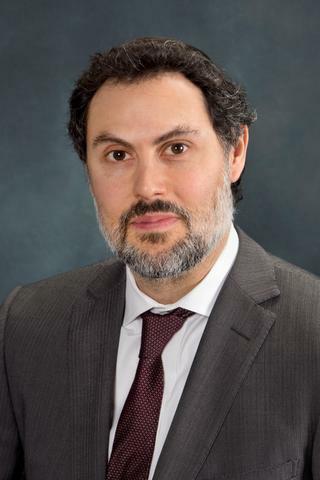 Anthony Eidelman, MD, joined the University of Rochester in June 2017 as an Assistant Professor in the Department of Neurosurgery's Neuromedicine Pain Management Program. His clinical focus is the evidence-based management of chronic pain employing both conservative approaches as well as minimally invasive techniques. He has expertise in managing a variety of subacute and chronic pain conditions including back and neck pain, musculoskeletal injuries, neuropathy/nerve injury and cancer pain. Dr. Eidelman is board certified in both Anesthesiology and Pain Management. His interest in pain management was formed during his intern year at University of Pittsburgh Medical Center while caring for patients during a palliative care rotation. He subsequently completed Anesthesia residency at a Tufts University affiliate in Boston, followed by an accredited Pain Fellowship at University of Iowa. During his training Dr. Eidelman received the Paul R. Levesque Annual Resident Award for Excellence in Pain Management and a research award from American Society of Regional Anesthesia and Pain Management. After matriculation, he joined the staff at Washington University School of Medicine in St. Louis Missouri where his writings were regularly published in peer reviewed journals and textbooks. Subsequently, for 9 years prior to moving to Rochester he enjoyed practicing pain medicine in a community hospital in the Kansas City area, where he was past president of the Kansas City Society of Anesthesiology. Tayeb BO, Eidelman A, Eidelman CL, McNicol ED, Carr DB. "Topical anaesthetics for pain control during repair of dermal laceration." The Cochrane database of systematic reviews.. 2017 Feb 22; 2:CD005364. Epub 2017 Feb 22. Eidelman A, Weiss JM, Baldwin CL, Enu IK, McNicol ED, Carr DB. "Topical anaesthetics for repair of dermal laceration." The Cochrane database of systematic reviews.. 2011 Jun 15; (6):CD005364. Epub 2011 Jun 15. Swarm R, Anghelescu DL, Benedetti C, Boston B, Cleeland C, Coyle N, Deleon-Casasola OA, Eidelman A, Eilers JG, Ferrell B, Grossman SA, Janjan NA, Levy MH, Lynch M, Montana GS, Nesbit S, Oakes L, Obbens EA, Paice J, Syrjala KL, Urba S, Weinstein SM, . "Adult cancer pain." Journal of the National Comprehensive Cancer Network : JNCCN.. 2007 Sep 0; 5(8):726-51.